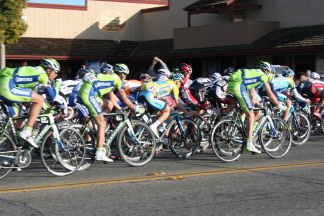 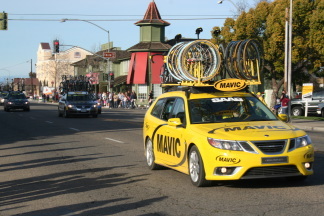 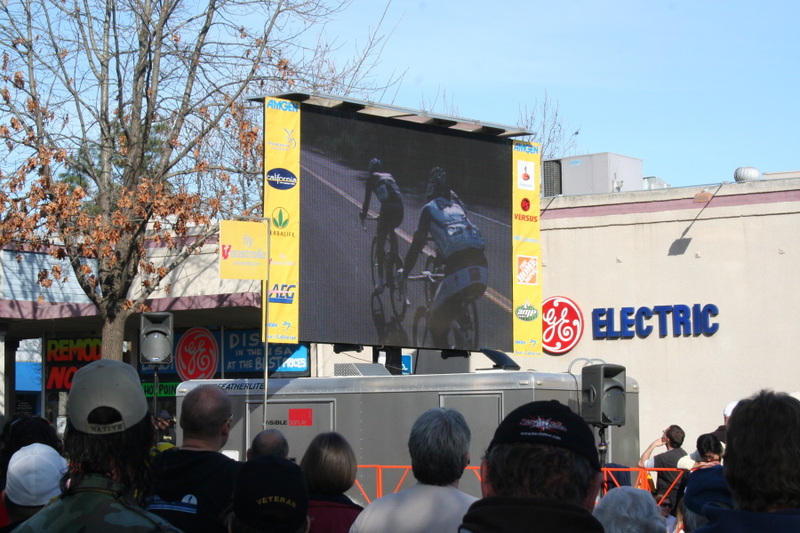 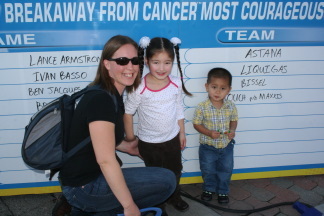 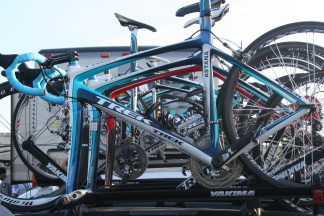 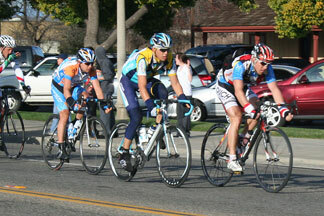 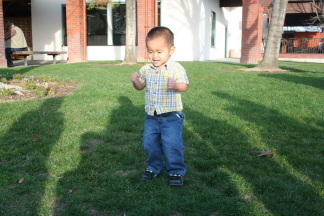 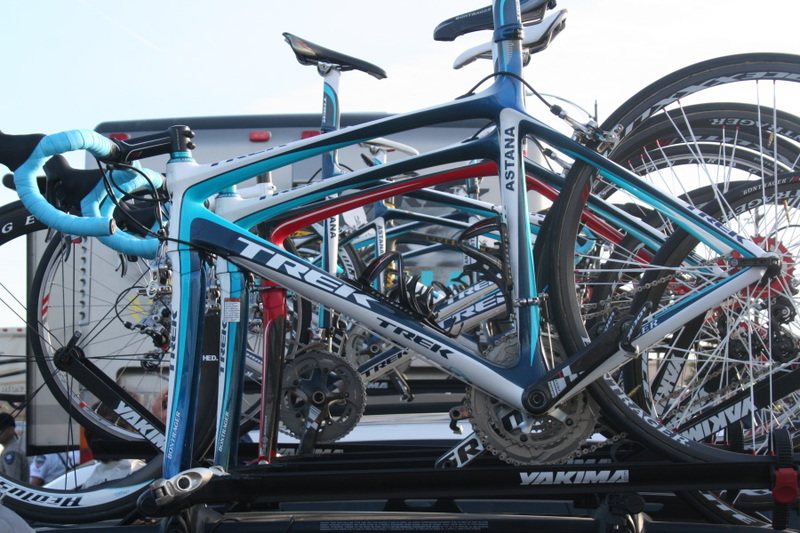 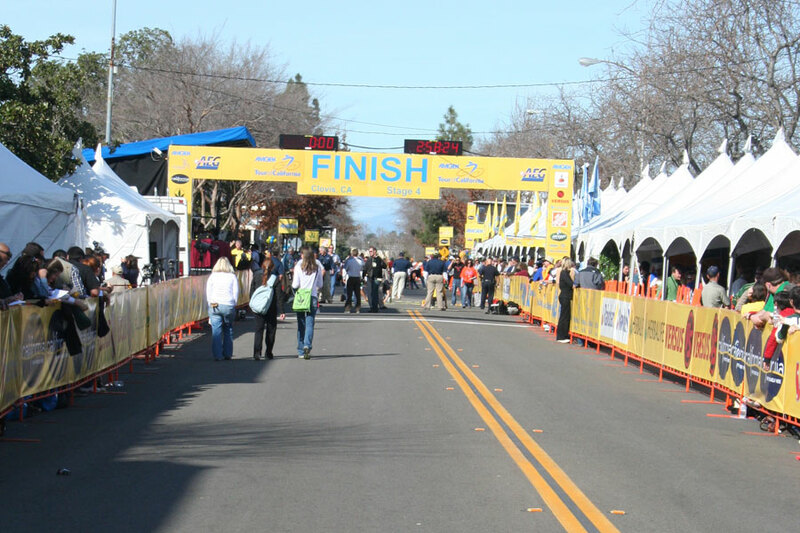 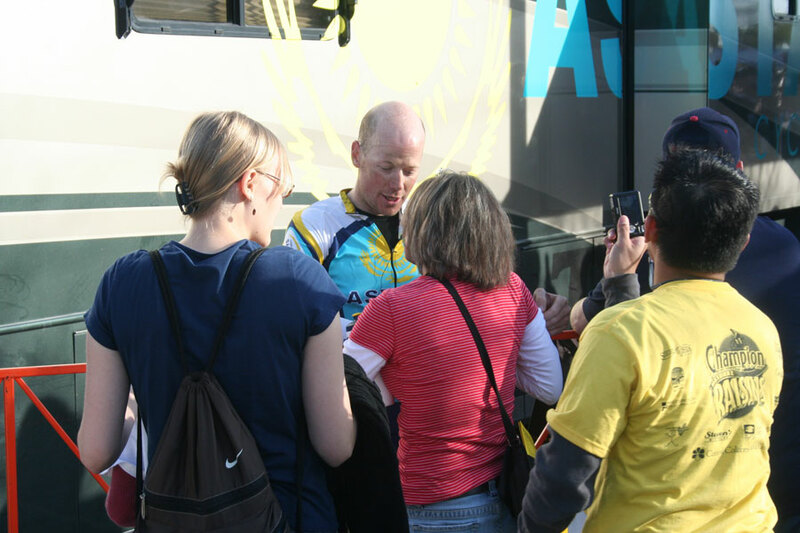 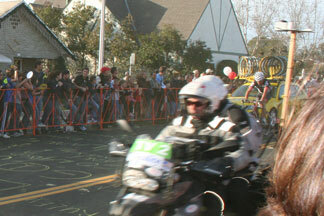 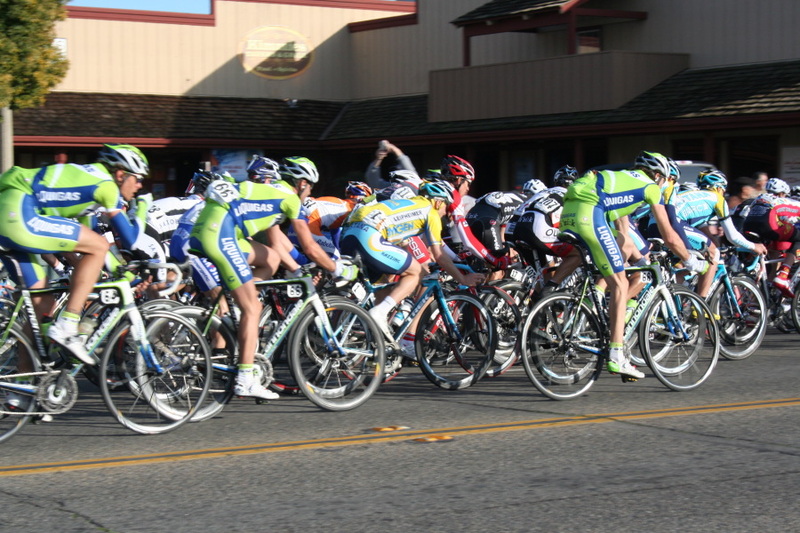 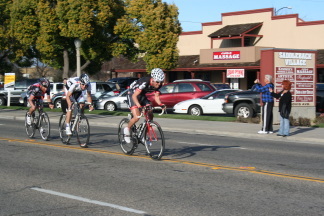 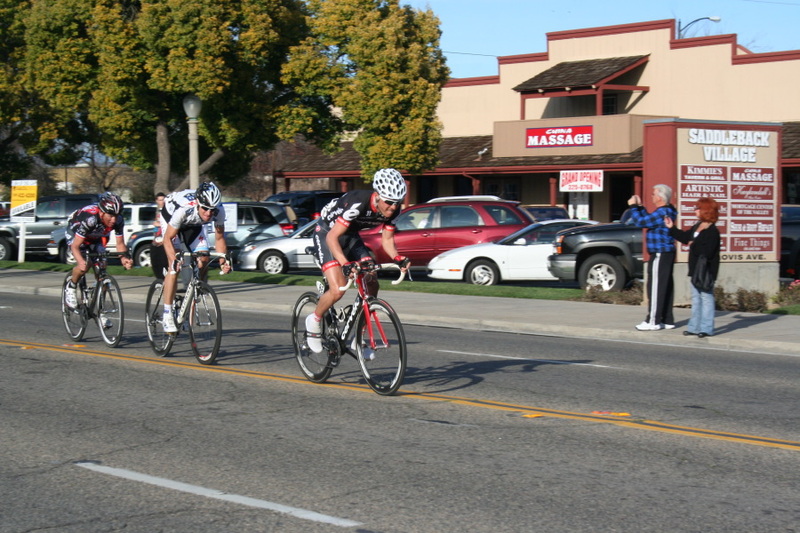 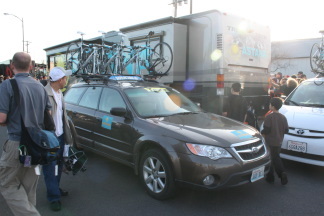 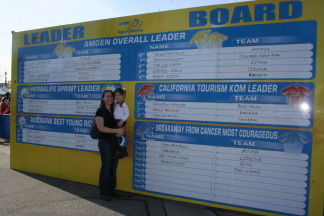 On Feb. 18th, we headed down to Old Town Clovis to see the finish of the fourth stage of the AMGEN California Bike Tour (aka "race"). We actually could have driven just a few miles from our house to see the middle stage of the race. 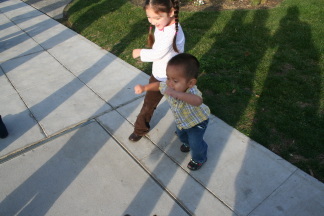 However, since the lead team was from Astana, Kazakhstan, we decided to go to the finish and be part of the festivities. 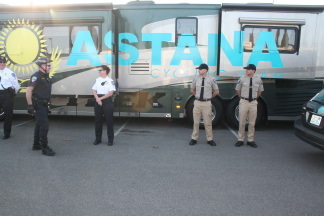 Another Team Astana rider; Go Kazakhstan! 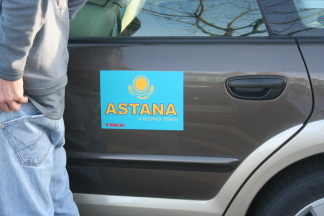 Katie saw this and said "That's my flag!" 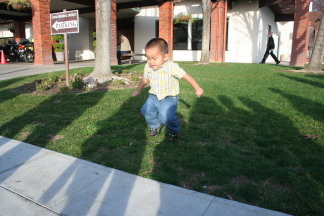 and make a perfect landing! 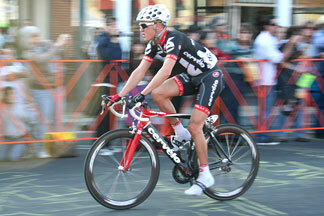 Click here to go back to the "Winter 09" index.